The 18 Pounder Quick Firing Gun (18 Pdr QF) was used in action by Canadian Gunners during the First World War 1914-1918 and in North Russia 1918-1919. The 18 pdr was in Canadian service from 1906-1941, replacing the 12 pdr BL. 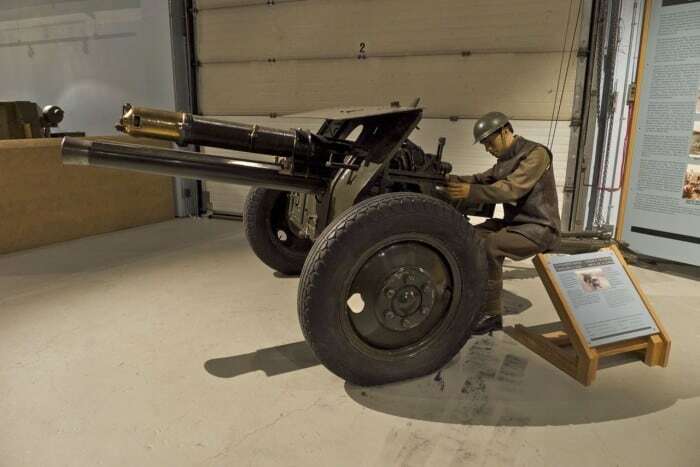 This was the first modern field gun in Canadian service. It loaded fixed cartridges via the breech and featured a modern recoil system which kept the gun stationary during firing by allowing the barrel to slide back and forth to absorb the shock of firing without moving the carriage. 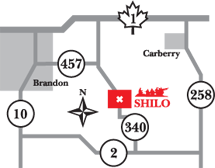 Examples were retained in service for training in Canada into the Second World War. Detachment: gun and limber, two ammunition wagons, 10 gunners, 9 drivers and 20 horses. Later gun and limber, towing vehicle and 6 gunners.